Whether you are an eternal romantic, or still feel the child inside of you, or if you just want to spend some time in a theme park surrounded by your favorite cartoon heroes, Disneyland is the place to be. There are five Disneyland parks across the world. The first one was established in Anaheim, California, on July 18, 1955. It was followed by Disney World in Bay Lake, Orlando, on October 1, 1971. The Tokyo Disney Resort came next; it was the first park built outside the United States and opened in Urayusa, Japan, on April 15, 1983. The only European Disneyland was launched in Marne-la-Vale, Paris, on April 12, 1992, and the newest resort opened its gates to the public on September 12, 2005, located on Penny’s Bay, Lantau Island. Disney World, the largest in size, is five times bigger than the original Anaheim location and contains Walt Disney’s personal favorite park: the Epcot. Once you’ve arrived at any of the parks, you’ve entered Walt Disney’s world, so expect castles, labyrinths, pirates, ghosts, and witches. Not only that, but some of the best, most thrilling rides in the world are found at Disney parks. For those who enjoy the arts, there are also many options – from experiencing the craft and animation techniques of Disney artists to stage shows with special effects and interactive performances. And of course what would a Disney park would be without fairy tales? 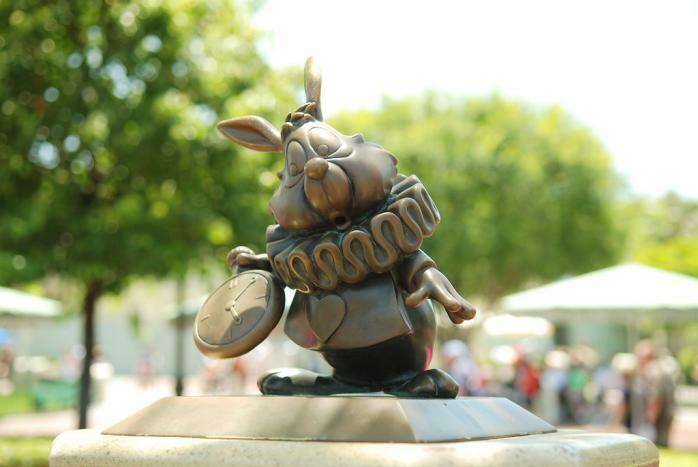 In each location, you will find the stories of Pinocchio, Winnie the Pooh, and Snow White, Alice’s Wonderland Labyrinth, and Peter Pan’s journey to Neverland. What is the most characteristic image in all of Disneyland (other from the Mickey-inspired mouse ears, of course)? 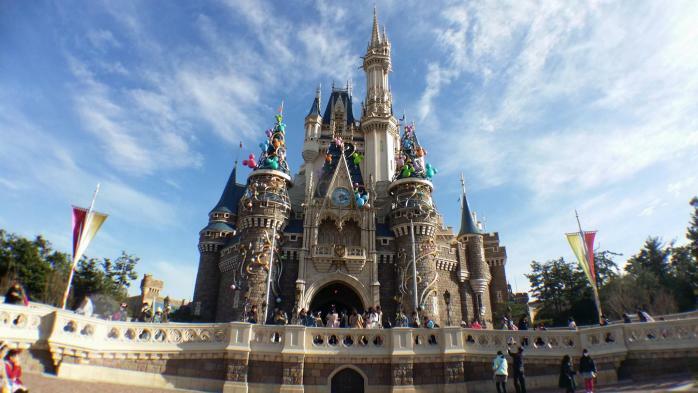 Undeniably, it’s the castle of beautiful princesses like Sleeping Beauty or Cinderella. Not many know this, but each castle is unique and belongs to a different princess. In Anaheim, Hong Kong, and Paris you can find three different versions of Sleeping Beauty’s castle, whereas Cinderella’s castle is in Orlando and Tokyo. The life-sized castles have been created with precise details and stand in the center of the Magic Kingdom. They are featured in every visitor’s photo and act as the main stage for the spectacular fireworks that end each show. Parades are also a vital part of the Disney magic and take place in all parks; colorful carriages, cartoon heroes, dancers, and special effects fill the streets and spread joy and laughter to the visitors. Restaurants are also essential to recharge guest’s batteries after many hours of excitement and walking. From burgers to gourmet recipes, there are restaurants to fulfill every taste. 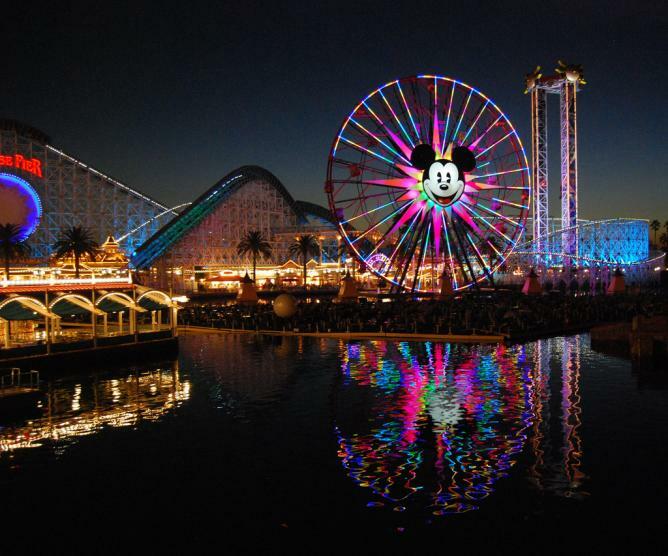 So wear your comfy shoes, pack your excitement, and get ready for a magical journey with the Culture Trip’s guide to the best each park has to offer. The very first Disneyland covers 85 acres and is filled with everything people around the world love about Disney. It is divided into eight distinct areas, and there’s good reason to visit each and every one of them. Main Street USA: Built to recall the 19th century small towns of America, this area is full of shops and memorabilia. New Orleans Square: The Disney French Quarter, filled with shops, cafés, and restaurants. Downtown Disney: End your day with a stop in Disney’s premier shopping and dining area. Tokyo Disneyland comprises seven separate lands, and its rides tend to be faster and more adult-oriented, whereas Disney Sea – inspired by the myths and legends of the sea – is made up of seven themed ports of call. World Bazaar: Discover a variety of restaurants and shops in buildings that resemble those of a small American town in the early 1900s. Tomorrowland: Offers adventures like rocketing through the galaxy, touring the stars… basically the combination of science and imagination. Don’t Miss – Star Wars: The Adventure Continues. The main Disneyland park is divided into five different lands, whereas the second park – Walt Disney Studios Park – revolves around a movie theme. 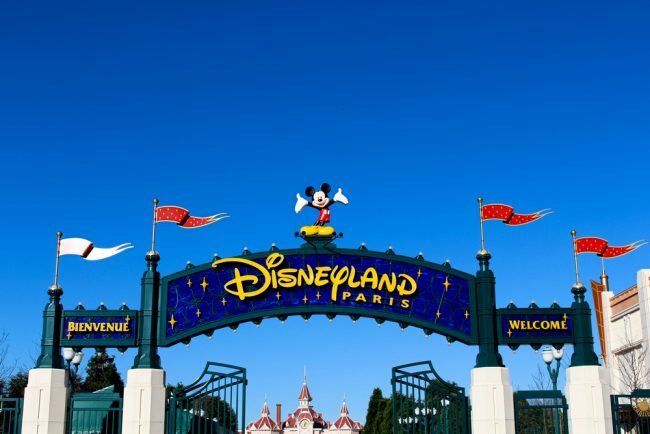 Disneyland Paris is purportedly the most popular tourist destination in all of Europe. Main Street USA: Enter Main Street, and you will be amazed by the delicate buildings, the railroad station, and City Hall, all of which resemble the America of the early 20th century and provide the ideal place for a quick snack or some shopping. Hong Kong Disneyland debuted in 2005. It contains just one theme park, and it is the smallest Disneyland of all. Some Chinese elements can be found here, like the Plaza Inn – the first Chinese restaurant in Main Street, with 19th century Chinese table service. Main Street USA: Highlights include the vintage cars, Disney characters come to life, and the parade in which the characters – Mickey, Cinderella, Ariel the Mermaid, and others – perform. 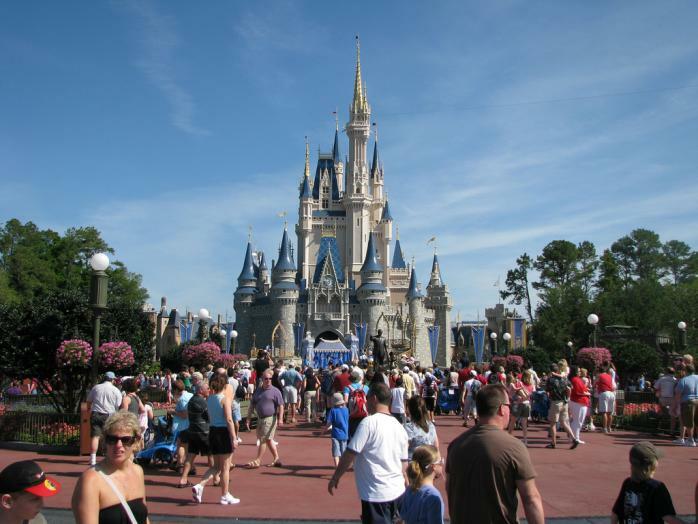 Walt Disney World covers 25,000 acres around Orlando and is twice the size of Manhattan. There are four separate theme parks, two water parks, and numerous shopping and dining options, as well as sports facilities, making it the most-visited vacation resort in the world. Main Street USA: Travel along on a horse drawn trolley, jitney, or a horseless carriage.